Singer and actress. Trained in contemporary dance, theatre, vocal technique and the energy centre method by Fedora Aberastury. All of these inputs influenced her particular way of using her voice. 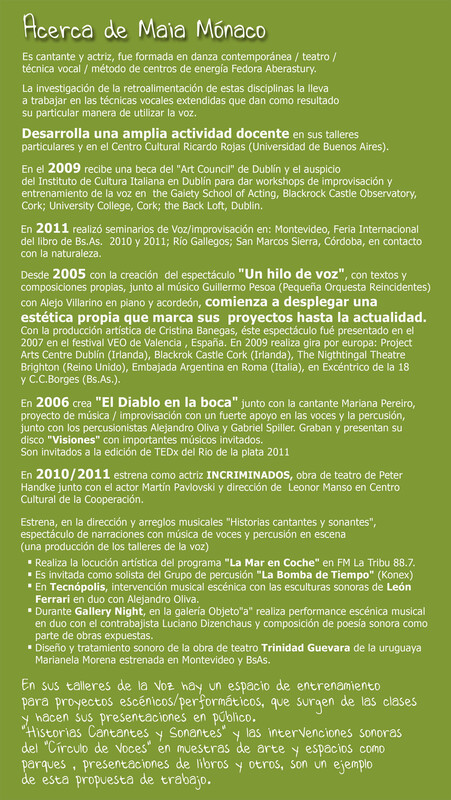 Working as a teacher of vocal technique and improvisation at the Centro Cultural Ricardo Rojas (Universidad de Buenos Aires); held various workshops throughout Argentina and in Uruguay, as well as in Ireland (2009).